At LeAnn’s Bridal, we celebrate Southern Grace and want every bride to know that she is beautiful, valued and unique; we believe in eternal love, magical moments and happily ever afters. LeAnn’s Brides exude confidence, exhibit class and are out to change the world. 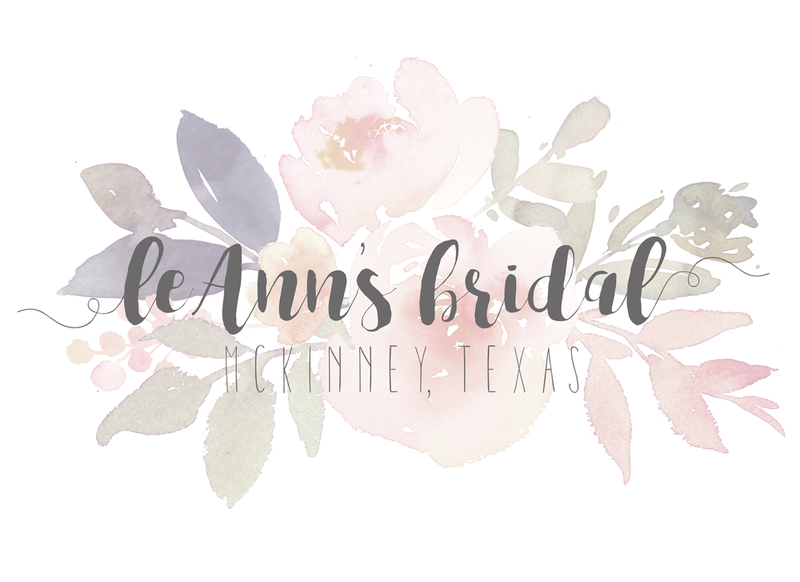 LeAnn’s Bridal is an award-winning, elegant and stylish bridal boutique located in the heart of downtown McKinney, TX on the square. With 6,200 square feet of space and three floors, LeAnn’s is filled with beautiful gowns from over a dozen different bridal lines, including lines that are not carried by any other store in the state! LeAnn’s has dresses in all different styles, shapes and sizes, providing something for each unique bride that ventures into the store. In addition to bridal gowns, LeAnn’s carries a host of different bridal jewelry, as well as various accessories and gifts. At LeAnn’s Bridal, we strive to provide every bride with a once-in-a-lifetime experience and help them find the perfect dress for their special day. LeAnn's Bridal shared a post. Stunning! We LOVE getting to see our brides on their day!